First published in 1847, Wuthering Heights is set in the isolated valleys of the Yorkshire moors, and the changing aspects of landscape and sky in winter and summer find their counterparts in the characters of the central figures, Heathcliff, Cathy, and the Lintons, who can be regarded as the embodiment of conflicting cosmic forces, opposed to, but not irreconcilable with, each other. 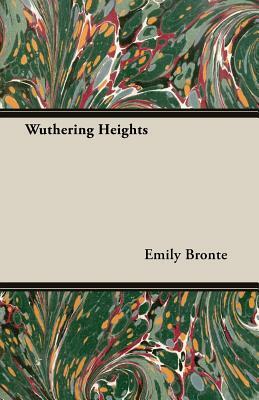 The poetic intensity of Emily Bronte's sublimity of the story, its complex structure, and the spare but vital prose in which it is written, combine to give Wuthering Heights a place unique in literature, comparable only to the tragedies of the Greek dramatists and Shakespeare. This edition of Wuthering Heights gives the text as Emily Bronte wrote it. The textual variants due to Charlotte Bronte's alterations are shown in an appendix.